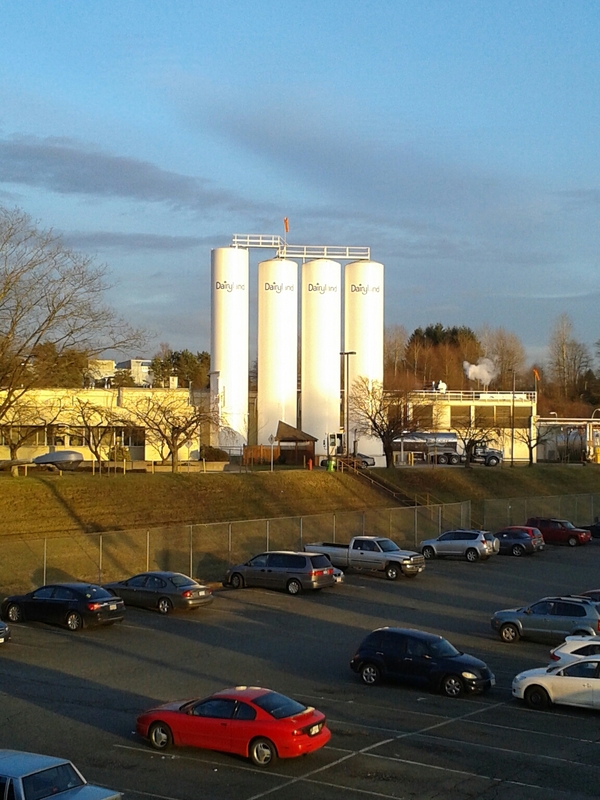 Image | This entry was posted in Cityscapes and tagged British Columbia, Burnaby, Dairyland, industrial, Saputo Dairy Products. Bookmark the permalink. That really does look like it could be in Minnesota. Industrial places tend to look the same everywhere. Helps that it is a dairy facility I think and all the cars are interchangeable.